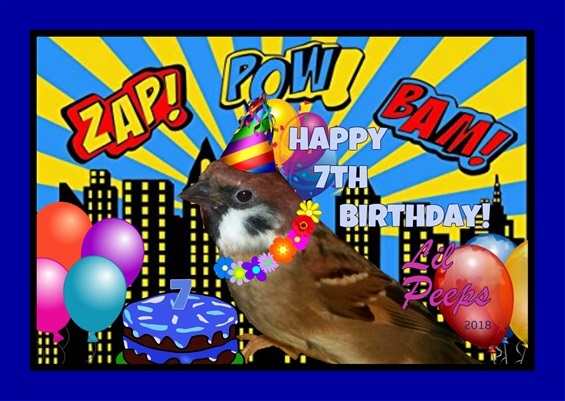 Read Lil Peeps' amazing rescue story below with photos ~ watch his miraculous growth from his hatch day in 2011 to adulthood! 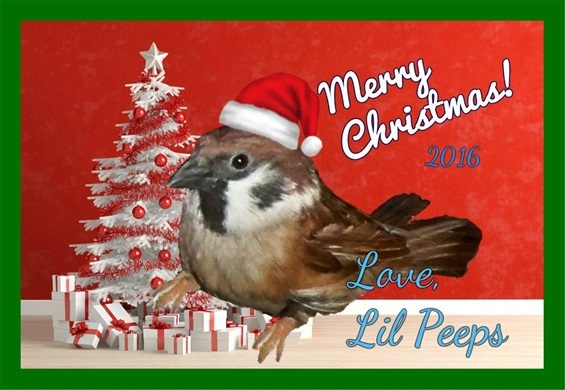 Click HERE to see more FUN holiday portraits of Precious Lil Peeps! 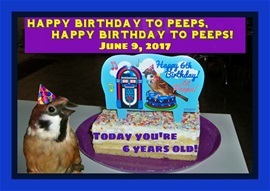 June 9, 2018: Lil Peeps' 7th Birthday! Hooray!!! 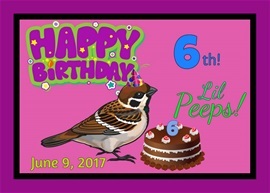 June 9, 2018: Lil Peeps 7th Birthday!!!! 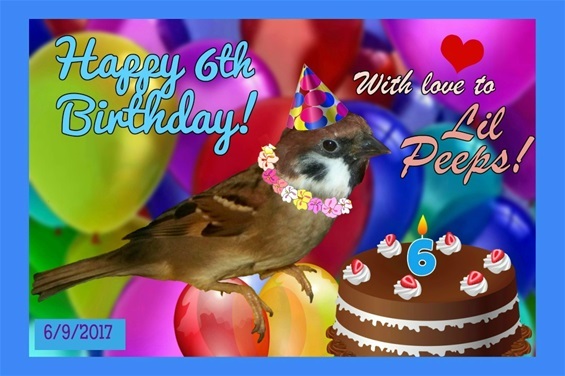 June 9, 2017: Precious Lil Peeps is celebrating his 6th birthday! YAY!! Quite a big honor for a teeny little angel! 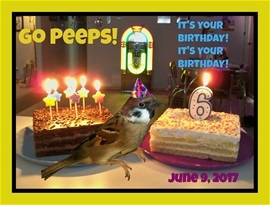 June 9, 2016: Adorable Lil Peeps' 5th Birthday! Big Celebration! 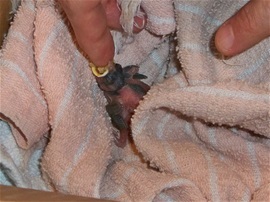 On June 9, 2011 at 3:50 pm, we found a totally helpless, just-hatched baby bird, struggling on hot cement near busy traffic. 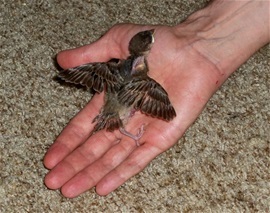 We had no idea how he got there because there were no trees anywhere close to where we found this poor little baby. We named this sweet baby bird Lil Peeps because of the tiny peeping sounds he continuously made in the car on the way home and,then, many times daily when he was hungry and wanted to be fed! 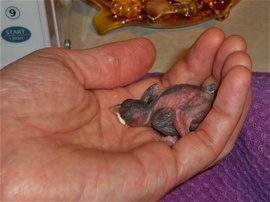 By Day #3, Lil Peeps' eyes were open! He loved sleeping in our hands after each feeding. By Day #5, Lil Peeps had a lot of feathers growing in! 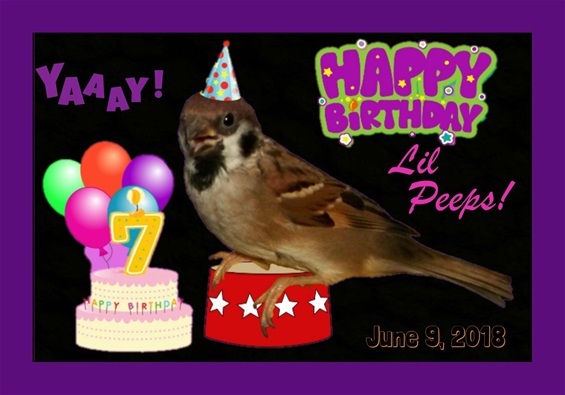 By Day #7, Lil Peeps' feathers were almost all grown in and very soft! 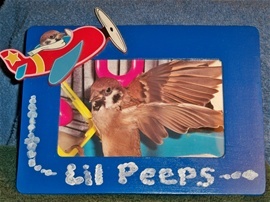 Lil Peeps never even tried flying until he received his 1st flying lesson on Day #11. 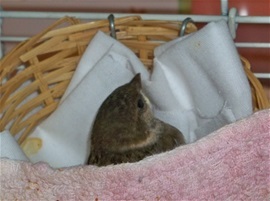 Lil Peeps loved sleeping in his nest with a teeny blanket! One of our fave photos of LP ~ healthy, cozy and content! Beautiful Lil Peeps on Day #18! 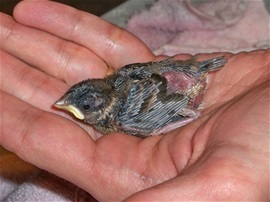 Watching LP grow from a blind, helpless baby to a strong, beautiful sparrow was miraculous! LP's fave toy: A cute little bowling game ~ but he likes to squeeze inside and nap in it more than play with it! LP absolutely loves his bathtub! Here he is hopping out after a quick bath! LP is completely drenched after a bath! 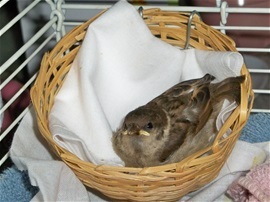 It takes a lot of grooming and fluffing to revert back to his famous sparrow look! BIG SURPRISE! When LP was about 13 weeks old, his full coloring suddenly appeared! 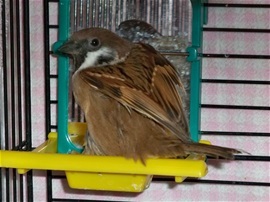 We were able to identify him as a Eurasian Tree Sparrow! Close-up of darling, handsome Lil Peeps! Lil Peeps has 3 mirrors in his cage and he spends HOURS daily admiring himself - and playing with the colorful beads on the mirrors! 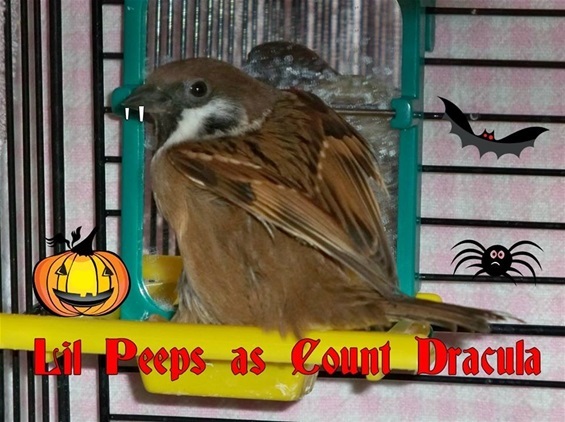 Halloween Fun with our Precious Lil Peeps! 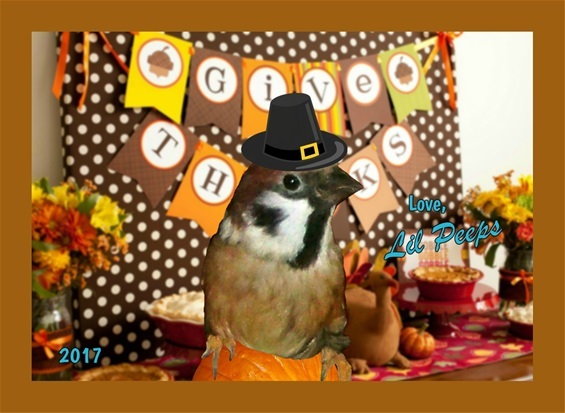 Click HERE to see Lil Peeps' FUN Christmas, Thanksgiving, Easter, Halloween & Valentine Portraits! 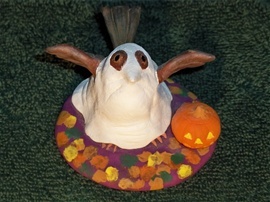 Lil Peeps' Fantasy Halloween Costume Sculpture! BOO! 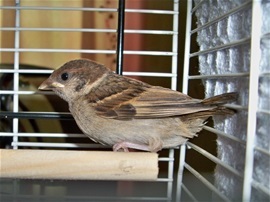 March 20 is World Sparrow Day! 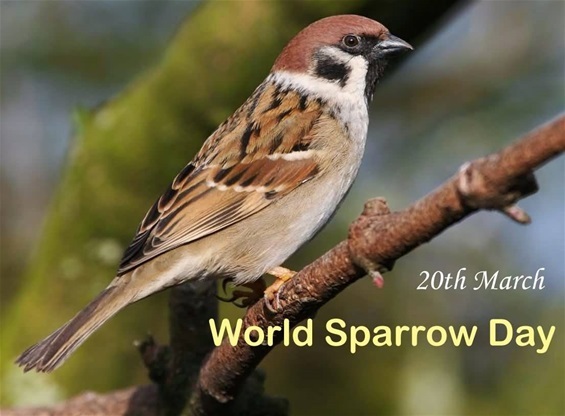 Celebrate World Sparrow Day on March 20! 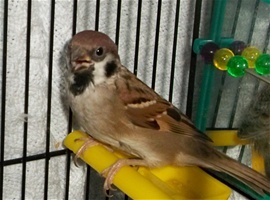 "There are at least 35 types of sparrow species in North America. 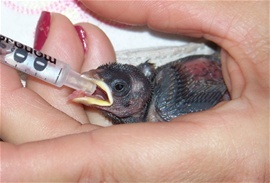 Species of these birds can generally be located in five areas of North America. 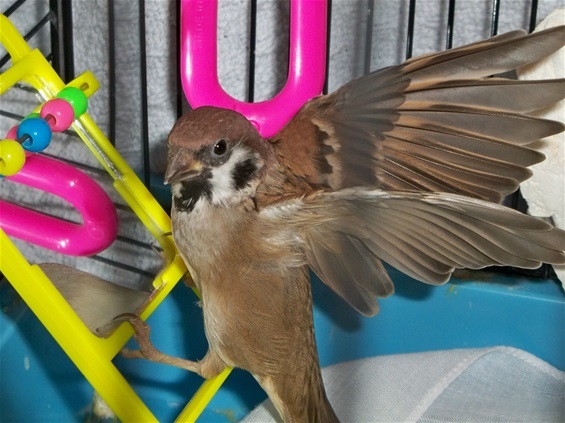 There are 15 species of sparrows that can be found in most areas of North America, some more abundant and widespread than others." Lil Peeps does the sweetest thing when he finds one of his feathers at the bottom of his flight cage: He picks it up in his beak, flies over to his food dish, and drops it in! (We've seen him do this on several occasions!) Does he know we save all his feathers and tape them on the calendar? 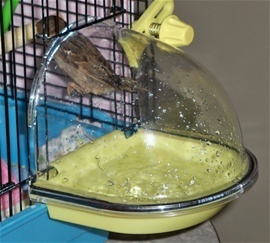 Lil Peeps drinks from of a water dish and from a hamster water bottle, using his beak to peck at the ball in the nozzle for water! It takes only a few seconds for LP to imitate any type of whistle we make! He LOVES "The Andy Grffith Show" theme, gets excited when he hears it, and sings with it daily! Lil Peeps LOVES singing when his human Daddy plays the guitar and sings! He sings happily for hours with his Daddy! LP's favorite female singer is awesome Kate Pierson of The B-52's and sings excitedly when he hears her amazing voice! 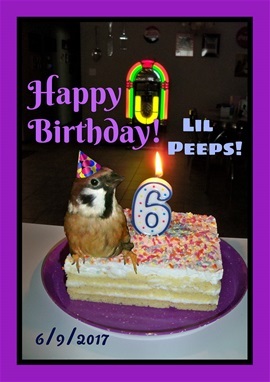 We wrote to her and told her about LP, and she sent us a beautiful autographed photo signed to us and "To Lil Peeps"! LP still LOVES to sleep in his Daddy's hand daily! Hearing LP sing daily is like having an angel in our midst! LP loves smooth jazz music, esp. jazz guitar! LP is so smart! 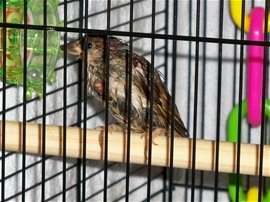 He stands in front of his bath chirping loudly when he wants the gate to be opened so he can get in! LP has an amazing internal clock! He lets us know, in no uncertain terms, that it's his bedtime and he wants his flight cage covered so he can sleep! LP likes to be heard over everything including running water, vacuuming, emptying grocery bags, and even sneezing! 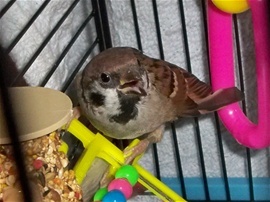 He will chirp loudly to be heard over any household noise! 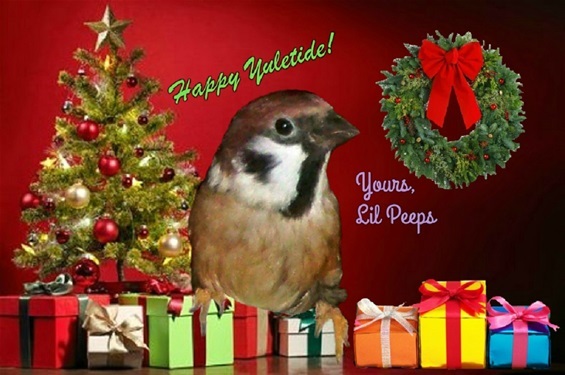 And, if he hears anyone use his name on TV, he has to chirp loudly; like if an actor says, "I haven't heard a peep..," our LP pipes up immediately, "CHIRP!" which means "I heard my name!" LP hates change of any kind! He does not want any new toys added to his cage either! 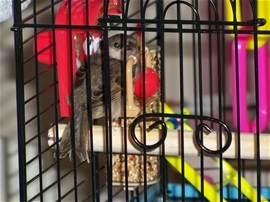 Last year, we gave him a cute basketball game bird toy and he boycotted that area of his cage for months! Even when we removed the new toy, it took weeks for him to go back to that area of his cage! As LP has matured, he has become shy around the camera and doesn't like the camera or flash aimed at him, unfortunately, so photo ops are rare these days. However, LP's life has continued to be carefree, happy and full of fun daily! We love the classic TV series "Mister Peepers" (NBC, 1952-1955) starring award-winning actor, Wally Cox, as Robinson Peepers (a teacher and writer). 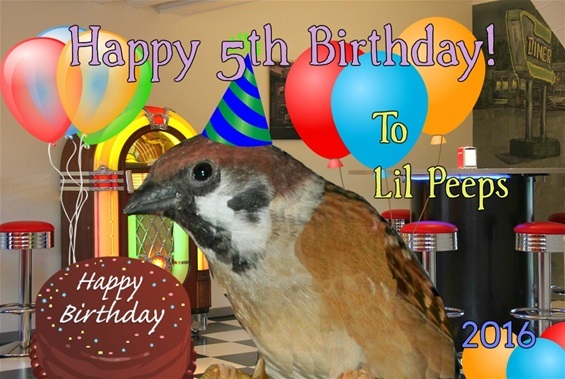 In Season 3, Mr. Peepers wrote an article that was published in "Bird" magazine called, "A Sparrow Speaks His Mind" ... 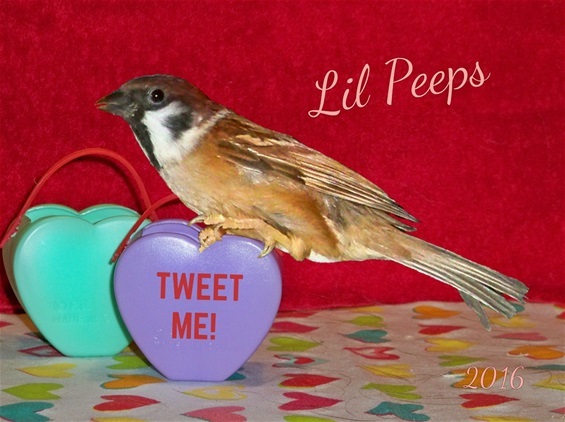 Naturally, we always think of our Lil Peeps who LOVES to speak his mind daily! BTW, Mr. Peepers traveled to NYC to accept the prestigious "Bronze Bird Award" for that history-making article! NEXT PAGE: "The Tale of Marty Mouse"
True Rescue Story! Great Photos! (c) 1999-2019 by artist George Smith.